Take breakfast and report at 0730hrs to the Parc National des Volcans Headquarters in Kinigi office for registration, briefing and formalities. 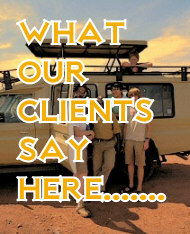 (your driver-guide will take care of all the formalities ). He will then drive you along the brim of Parc National des Volcans. Thereafter, you will start gorilla tracking through the park. The time taken to look out for these gentle apes will vary with how close they will be and it is unpredictable because the search is in their natural habitats. The gorilla safari here commences at about 2000 meters above sea level in the upmost slopes of the Volcanoes. After tracking and encountering your assigned group you will spend one hour in their company before tracking your steps down the volcanoes. An en counter after a strenuous walk is a worthwhile! If time allows, you will visit the little known but eloquently gorgeous twin lakes of BULERA & RUHONDO. After an early breakfast, report at the ORTPN Office for registration and briefing, thereafter drive to the Volcanoes National Park for the Golden Monkeys trekking or Dianne Fossey grave trekking. The Golden monkey is one of the most rare primates in Africa . It is now believed that the only feasible population of these monkeys is left in the Virunga Volcanoes National park. A lesser populace may exist in the Nyungwe Forest National Park in Southern Rwanda but this has yet to be confirmed. The golden monkey is a dissimilar species of guenon – Cercopithecus Kandti and is prevalent to the Albertine Rift. We will depart early with our packed lunch for Queen Elizabeth National Park. We will drive through the southern sector of Queen Elizabeth known as Ishasha, famed for its tree-climbing lions. Ishasha is a remote and beautiful extension of Queen Elizabeth National Park. We will see buffalo, topi and hippo among other species. It is a fabulous sight to see the lions draped from the trees and nowhere in Africa do you stand a better chance of seeing this than in the large low-limbed fig tree of Ishasha. A picnic lunch in Ishasha if weather allows will make your day . You will later depart to Mweya Peninsula. Wake up early in the mornings and take cup of tea or coffee. Go for a game drive along Kasenyi track to see the herds of Buffalo, Elephant, Warthog and Lion. Return to the lodge for mid morning break fast. After lunch, a two-hour launch cruise along the Kazinga channel proffers visitors a unique opportunity to encounter at close quarters hippo and a variety of bird species common to the park. The prolific bird life is colorful and astonishing with well over 550 resident species. Dinner and overnight at your lodge. Take your breakfast and proceed to to Kibale national park. A high light of visit to Kibale National Park will be the Chimpanzee tracking excursion that starts from Kanyankyu at 1400hrs . You will have lunch before proceeding to Kanyankyu for the trek. Start the trek to search for Man’s closest cousin . 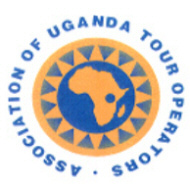 Day 7; Transfer to Kampala then Entebbe for your onward flight back home- 4-5 hours drive. You will transfer to Kampala, as the drive will take 5 hrs arriving in the afternoon . Take a Stop over at the Mpambire Drum makers site if you use that route and then later transfer to the airport for your next flight back Home.